National Historic Preservation Act — the legislation that made the National Register of Historic Places possible — also turns 50 this year. 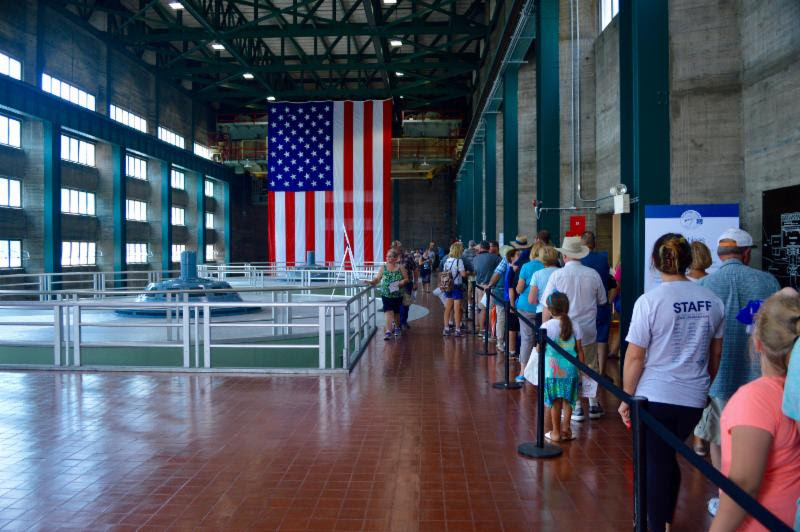 The Tennessee Preservation Trust (TPT) joined thousands of Tennesseans the last weekend in July to celebrate the 80th anniversary of the historic Norris Dam, a landmark of Tennessee history that was also listed to the National Register of Historic Places earlier this year. The Trust is the statewide nonprofit for historic preservation and works to promote, preserve, and protect Tennessee’s diverse historic resources through education, advocacy and collaborative partnerships. With the support of the Tennessee Historical Commission and as the only statewide partner of the National Trust for Historic Preservation, TPT joins a coalition of organizations across the nation in promoting the importance of the National Historic Preservation Act, which also turns 50 this year. The historic Norris Dam is listed on the National Register as being significant in architecture, conservation, engineering, industry, recreation and social history. Eager visitors approached the dam just as landscape architects had designed it in the early 1930s. A winding road through the forested mountain region offers occasional glimpses of the Clinch River until finally the massive spillway and powerhouse come into view. The grandeur and the design of the dam itself clearly exemplify this ideology. Rather than a more traditional neo-classical architectural style, the architect chose Streamline Moderne, which takes influence from the earlier Art Deco style and was seen as an expression of the modern age. The weekend’s guests were invited through the powerhouse where the progressive design was evident from the cast concrete walls and Art Deco font to the long vertical door handles and terrazzo floor, all of which appear just as it was when the dam was completed in 1936. It was like stepping back in time. In preparing for the special event, TVA staff also made some unique discoveries that give a more profound sense of place at the site. A wood grain pattern impressed on the concrete walls was revealed following extensive cleaning efforts that are a reminder of the work it took to build the dam. The pattern was a result of the wooden molds used to pour the concrete panels during construction. More impressive was the find of an original mural painted by former TVA artist Robert Birdwell in 1953 that had been covered by plywood and carpet. TVA wanted to share the mural with the public, however time between the discovery and the event did not provide for a full restoration. Instead, it was left covered for conservation and a full-scale digital reproduction served as a stand-in for visitors to enjoy. Close to 40,000 people came out to experience the historic Norris Dam and connect to this unique time in Tennessee’s past. This connection is what drives the mission of the Tennessee Preservation Trust and what preservation groups across the country are celebrating as the National Historic Preservation Act (NHPA) turns 50. You can learn more about the NHPA and its programs like the National Register of Historic Places at the Tennessee Preservation Trust website, here.